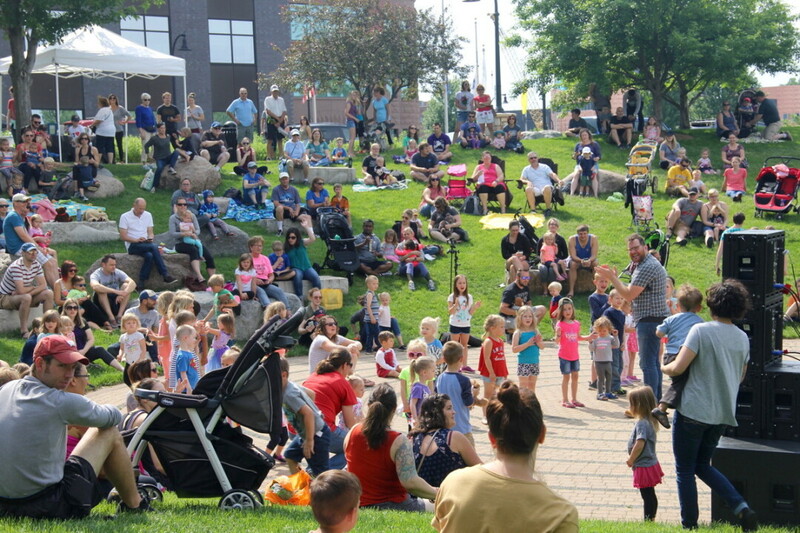 For three Saturday mornings this summer – during the Eau Claire Downtown Farmers Market and the Artist Market of Eau Claire – Chippewa Valley Family and Prevea Health will host FREE live music on the Phoenix Park labyrinth. 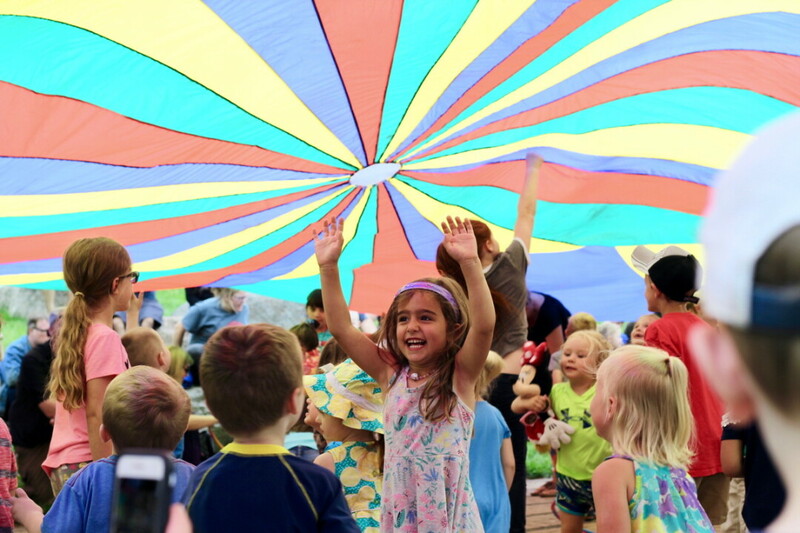 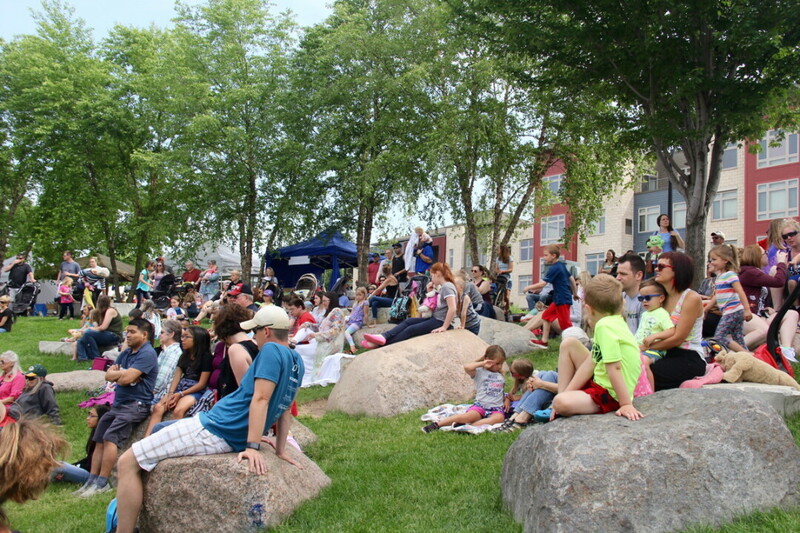 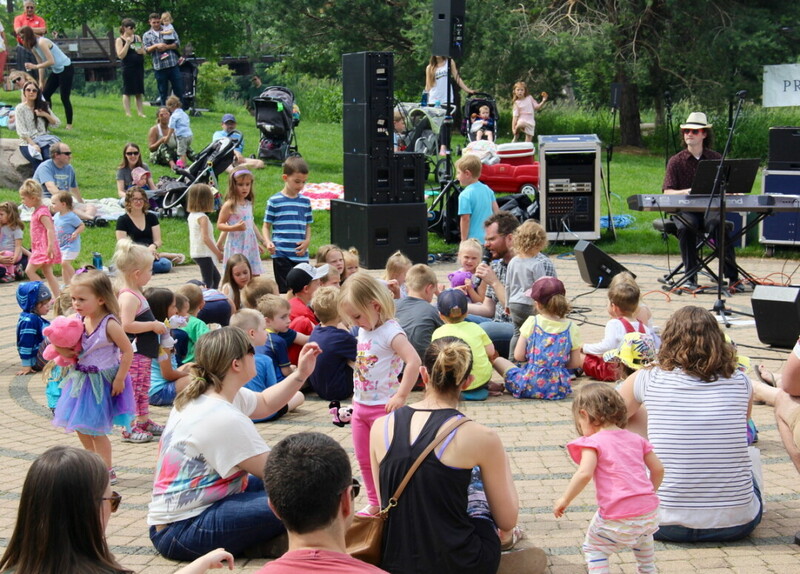 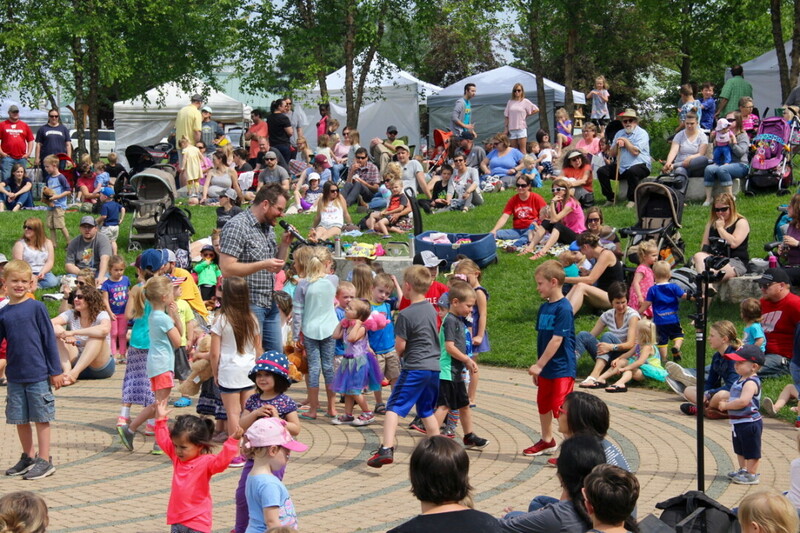 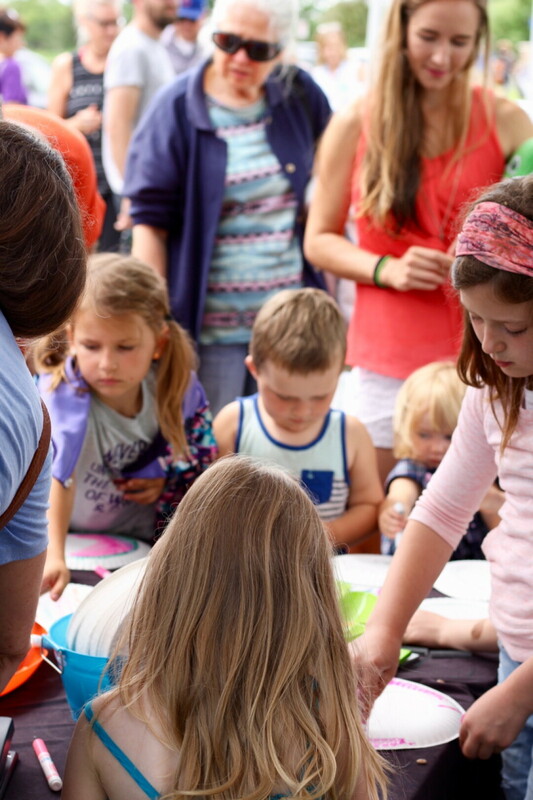 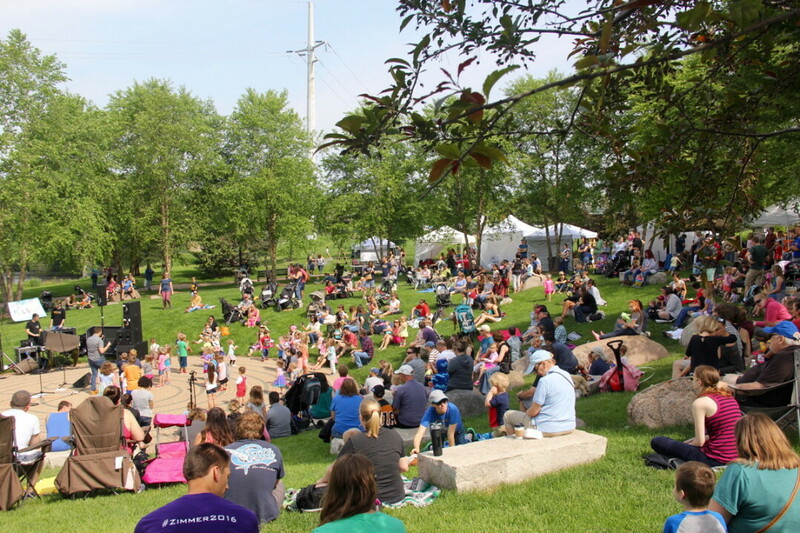 Dubbed the “Saturday Morning Hullabaloo” and hosted by local jazz musician Tim Sullivan, these open-air concerts will begin with an hour of interactive music and games before an engaging children’s performer or band takes over for the second hour. 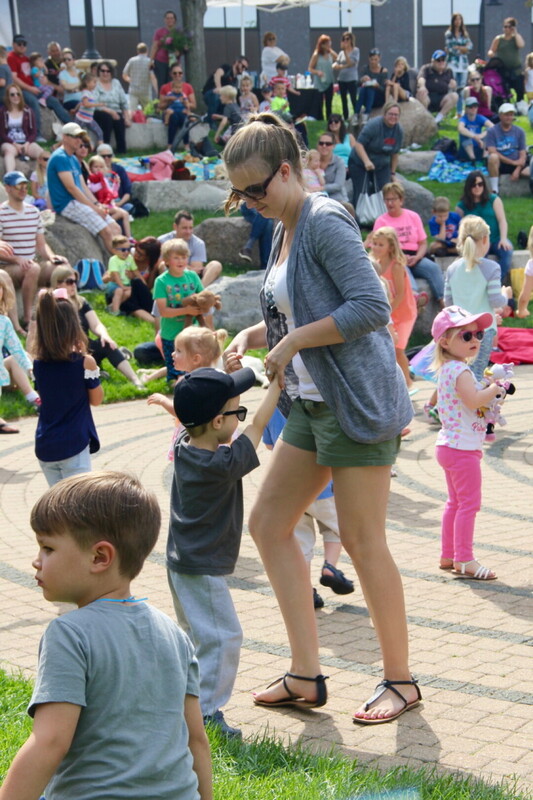 Families are welcome to come and go as they please to enjoy the park and the markets. 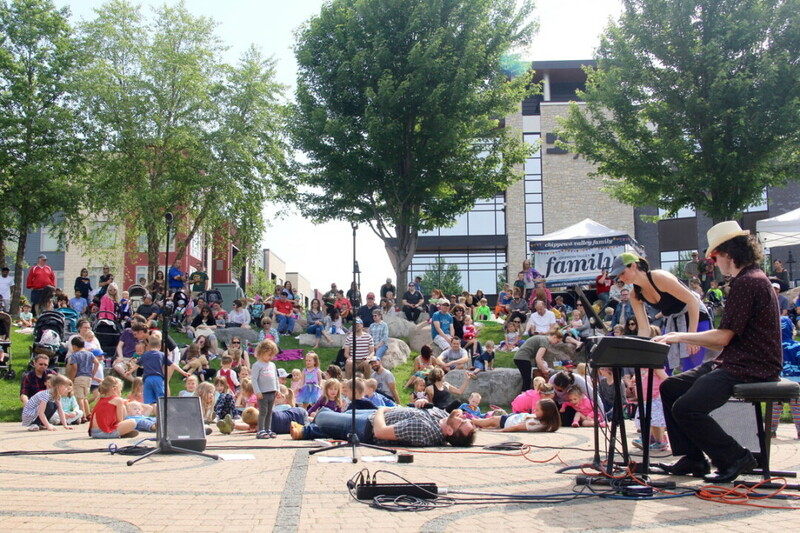 More details and dates here! 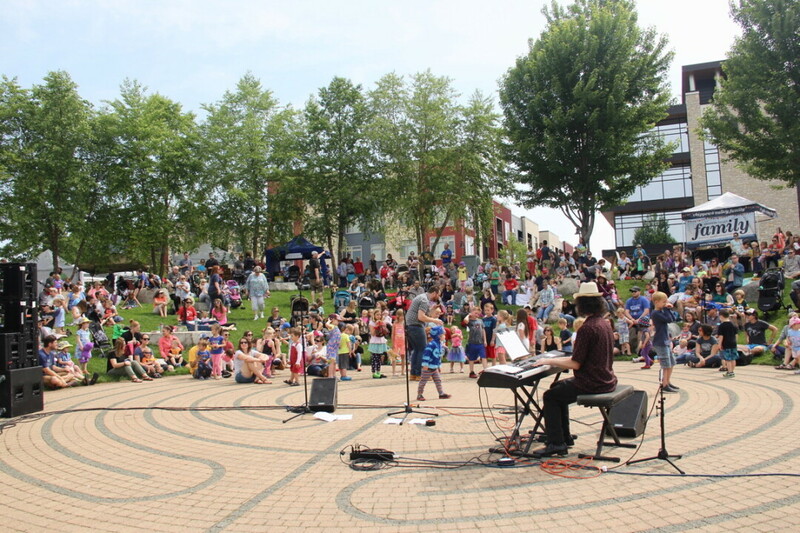 The series launched on Saturday, June 9 with The Teddy Bear Band (shown here).